WorkingPinoy.com is about things I hope can help fellow working Pinoys. Hi, I’m Nora, thank you very much for visiting my blog. I’m married, a mother of one, and working at home, sometimes nighttime, sometimes daytime, as a virtual admin assistant for a company in Florida. I also manage several sites and blogs. Here I write about things I’ve learned through the years that I hope can help fellow Pinoys. In 1982, I graduated from Mapua Institute of Technology, and started working as an industrial engineer in a paper conversion company in Mandaluyong. After almost 4 years in this firm, I resigned to go to an idyllic place in Morong, Bataan, on a mountain with a stream and a hanging bridge, near the sea, and taught survival English and Math to Vietnamese, Cambodian and Laotian teenagers, who each had to stay at the 365-hectare Philippine Refugee Processing Center (now a tourism and retirement park called Bataan Technology Park) for at least six months, as part of their preparation for their eventual immigration to the U.S.
After nearly seven years on this idyllic place, I got married in my rustic, lovely hometown in La Union, and had my only child about a year later. In Quezon City, my sister and I tried garment contracting, but unfortunately, we failed. For the next several years, I worked as a data analyst and abstractor in Makati while my husband worked abroad. I also tried operating a foodcart franchise at a mall in Manila, and for the second time, my incursion in small business failed. Since 2009, I’ve been working at home as a virtual admin assistant for a company in Florida. Through the years, there were failures and there were successes. Lessons learned, blessings received, pleasant surprises, useful info… these are the things that I’m going to write about. And I do hope that we can learn from them. Hi lorna, sorry delayed ang reply ko. Kung merong proof that the mother is an OFW, puede sanang magbayad as OFW, at puedeng magamit agad, pero late na, kasi dapat ang Philhealth payment is before date of admission or on the date of admission. Siguro ikaw na lang ang mag-make sure na paid on time ang Philhealth ng mother. Hi Ms. Nora,my concern is, 4 years na po hindi nahuhulugan ang philhealht ng pamangkin ko, pwede po ba bayaran ngayon ng pang 1 year conrtibution para magamit ng anak nya? nasa ibang bansa po sya pero wala sya work dun, may asawa ibang lahi. 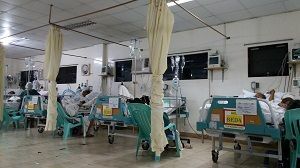 at kugn sakaling pwede bayaran, pwede na po ba magamit agad yung philhealth kasi naka admit ang anak nya sa ngayon. pahelp naman po. kapag ba hindi nabayaran ang philhealth (almost 7mos. na ata) maiinactive ba or mababalewala ang previous pmts na ginawa ko? magsstart again na po ba yan? Nagresign kasi ako sa previous job ko tapos until now wala pa akong new job. gusto ko nga sana gawing self-employed para ako na magbabayad. pero concern ko talaga kung pano yung lapses ko. 3. Notarized undertaking executed by the claimant in the form prescribed by the SSS stating that the death benefit shall be returned should member appear and proven to be alive. I’m not sure about funeral benefit, kasi walang funeral. Ang main document kasi ay receipts of funeral expenses. hi po miss nora regarding po sa magna carta anu po ba yung pinagbabasihan ng babayaran ng company? nag undergo po kasi ako ng operation ko at 2 organ ko po ang tinanggal which is my right ovary and fallopian tube. magkaiba po ba yun ng babayaran ng company? and ibabase po ba yun sa number of days na leave na inapproved ng doctor? Hi Remy, hindi kasi remittance partner ng BDO ang SABB, so merong delay nang konti. Bukas, kapag wala pa, your recipient can call BDO 631-8000 or go the BDO branch and ask. I found this forum online and i find it very helpful lalo na sa mga ilang katanungan about telex or swift transfer. Ganito po kasi yun nagtransfer po ako thru SABB dito sa KSA nung April 02,2018. BDO po ang Recepient Bank. Kaso nga lang po April 8 na today pero di pa rin po dumadating yung transfer. Mga ilang days po ba talaga bago sya dumating and ano po pwede ko gawin?? Thank you Nora for your reply. My membership with SSS ended because I went to Canada, got married and am a Canadian citizen. Mr. Roldan was able to probably access my contributions last year. However, when the Calgary local rep for SSS tried to access it one more time this message came up: “Total contributions posted after date of contingency. Last posted contribution after date of contingency.” They told me to contact via email ofw.relations@sss.gov.ph. because the Toronto SSS rep (which I believe is Mr. Roldan) to ask them about the message. It has been two weeks with no reply from OFW. I do not know what the message means. I have not made any voluntary contributions since 2001 since I left for Canada. So in logging in, the 5 options listed I have none of. I am 63 years old and want to know myself the contributions I did make then do the math for the amount I shall receive. The thing I am working on is an SPA for SSS pension and send it to my power of attorney together with all the IDs they may require and the separation from employment as well. But before I go, you are doing well with your knowledge which help people like us get answers fast. Kudos to you and the work that you do. Hi Melissa, were you or at least one of your parents born in the Philippines or a former Filipino citizen? Are you between 18 to 60 years old? If yes, then you can apply for SSS membership in the Philippines. You can download this SSS Personal Record form, fill it up (fill up the Overseas Filipino Worker portion, even if you’re really not OFW), then email to Toronto SSS Foreign Representative Roberto V Roldan at toronto@sss.gov.ph. Subject: Application for SSS Number and SSS Membership. Mention your Filipino connection, if you’re not born in the Phils. SSS said they’ll be opening an office at the Philippine Consulate in Calgary, but I checked their website, and there’s no mention of SSS. Maybe you can call them if you like. After your application is approved as “OFW” member, and have made your first payment (give time for posting), you can try enrolling to open your SSS online account. Well like many I seek answers regarding opension. My one problem is I cannot sign in to SSS because to register I need to have either one of 5 things, none of which I have. So how do I get to be a member? I am Canadian and need to know if I qualify. The ofw.relations.sss.gov.phr has not answered me in the last 2 weeks.are they that slow? Nice blog dedicated to working pinoy here and abroad. Is this a wordpress blog. I have a blogger/blogspot site that I want to registered this into a domain. Unfortunately Google domain is not available in the Philippines for that. Have a spare time to care? hi po last payment ko ng philhealth is june 2017,kung aadmit ngayon at babayaran ko yung oct,nov,dec magagamit na po ba??? Sobrang ganda po ng blog nyo, madami kaming natutunan. Keep up the good work madam. I’ve just noticed this problem with Danvil as I’ve been so busy with pursuing life. Like you, I used to work online as a VA as well and I’m sure you can understand how touch-and-go that professional life is. Right now, I’m out of a job. In any case, like Linda, I’ve been a Danvil policy holder since June of 2002 and this year is the maturity of my plan. Could you please guide me on how to claim what’s due to me? This will greatly help support my family so if there’s any information as to how to go about the claim or related online links that we can use to get in touch with their office, I would really appreciate it, Nora. Its such a blessing to see your website where you are helping Filipinos all over the world with your blogs. I hope it’s not too late to get refunds on Danvil because I was once a plan holder and fully paid my policy. Would you please mention the step by step procedure on how to get my money back from Danvil? Thank you. I’m Napoleon, now a Canadian citizen and residing in Toronto. My Danvil Plan was completely paid July 26, 2009 and maturity date is June 2018. Now, i received an e-mail from Atty. Togonon that says i am one of the planholders who has not yet filed claims. The policy face page,contract provision is missing now but my brother in the philippines has the original certificate of full payment. What amount are they refunding? I paid PhP 102,876.00 and maturity amount is php180,000. Can you advise me some steps on how will i start? Hi Nora. I appreciate what you’ve been writing for Filipinos. It’s my first time here and I hope you can add a subscription page or widget so that the readers can be notified whenever a new blog post is published on your blog. It’s also a good way to collect email so you can reach to your readers. And who knows maybe someday you can write a book and let us know about it or other endeavours you would like to share to us. Hope to read more of your informative post in spite of being busy working at home. Hi Benjamin, I’m from Sudipen, La Union. Hello, kaprobinsiya. Yes, you can submit your Danvil documents via LBC. ASAP. Send photocopies. Submit the originals when you claim your cheque. The list and the address is here: Danvil Plans. After a few days, depending when LBC says that the docs can reach Danvil, email Danvil danvilph@yahoo.com CC rdtlaw21@gmail.com and inform them that you have sent your documents to them via LBC. Hi Nora! I am from La union living now in Canada. I want to ask about my plan in Berkley Intnl. Plan Inc (Danvil Plans). It’s fully paid last 2012 and will mature in 2020. I’ve just read from your blog that every plan holder have withdrawn their money. Can I still withdraw my payments? Very nice and informative blog. It is a great help especially for us OFW. More power Mam Nora. Hi po. Nandito po ako sa saudi ngayon nagpadala po ako sa kapatid ko ng 70k. Magrrelease naman po sila ng ganung pera kaso po walang ibang id yung kapatid ko TIN at company ID lang po. Ano pa po kaya pwede nya ipresent as supporting documents. Thank you po. Hi Bob, that’s good you’ve registered. Yes, try IRemit. Thanks too! Hi Nora Maraming salamat po sa pag sagot at payo sa mga tanong ko.Opo naka pag registered po ako ng RS-1 form.Yes,nandito po kami sa Edmonton.Subukan ko munang magbayad kahit one month lang muna sa IRemit. Hi Bobby, I’m not sure kung Edmonton nga ang location mo based on your IP address, pero merong IRemit office diyan sa Edmonton where you can pay your SSS. Find it here: IRemit offices in Canada. Subukan mo munang magbayad ng 1 month, and then try using the IRemit receipt no. in your online SSS enrollment. Try any combination of 6 digits doon sa receipt no. Before you started paying SSS as self-employed, nag-register ka ba noon as self-employed using RS-1 form? I asked kasi important na naka-register ka ng maayos. Hindi kasi valid ang mga contributions mo if you did not register properly. I hope your registration will be approved so you can check your status. If you’ll see you have a Date of Coverage, your contributions are valid. Hi Nora Good day po.Gusto ko sanang magpa online registration sa SSS.nahinto ang pagbabayad ko ng contribution last 2011 sa dahilan na nandito kami buong pamilya ko sa abroad.sinubukan ko nang nag fill-up ng application for members registration para sakaling ma track ko yong status ng SSS ko kaya lang nagkaroon ng problema dahil isa sa mga hinihiling nila ay Receipt number found in RS5 receipt ng SSS paid at least 6 months prior to the current date at wla na yong resibo sa akin.Ano ba ang dapat kong gawin dahil sa tanong na iyon hindi ako makapag rehistro thru online?Nais ko sanang ipagpapatuloy ko yong pagbabayad ng contribution ko. ang alam ko nakapagbayad na po ako ng 4 years thru self employed status.Kung sakaling makapag registered ako online,Paano ako pakapagbayad sa contribution as nandito ako sa Canada? Sana matulongan mo ako sa mga tanong ko. Samalat po.ang pangalan po ay Bobby. Good Day Ms. Nora! I am a non-working member and ang last contribution ko pa sa SSS is nung 2012 pa. I just want to know kung pano ako ma qqualify sa Educational Loan ng SSS not for my children, since my eldest is just 4yo but for me because I am planning on taking B.A. Psychology at AMA Online Education program and It is PACUCOA Accredited (Philippine Association of Colleges and Universities Commission on Accreditation) and ISO 9001:2008 Certified. My husband is employed and also a member of SSS. Hi jene, based sa mga nagco-comment dito and other sites, depende sa no. of days passed at saka sa determination. Malaking bagay yong meron kang kasama na magpunta don na mas strong at mas firm sa iyo, at merong alam sa law. Sorry, up to suggestions lang ako. hello miss nora.. 2weeks na po kxe since then 🙁 tama po kayo nadeceived nga po ako kase nagulat na lang ako naicharge na nila sakin then pinapacancel ko na po agad nun kase sabi ko po hindi ko naitndihan mabuti na icharge na nila agad sakin tapos pinakausap na nila sakin yung mas mataas saknila pero ayun po pinagawa nila ko letter pero sinabi po nila agad sakin na wala daw assurance na macacancel ung payment ko hangang sa pagbalik ko nga po gnun ang sinabi sakin hindi daw naapproved ,.. ano po kaya maganda ko gawin para macancel yun or possible pa po ba na macancel yun? Hi jene, days pa lang ba since nakuhanan ka ng pera? Magdala ka ng kasama mo na merong authority para matakot sila. Dapat ma-prove o ma-insist mo na na-deceive ka, na sinabi nila that you can cancel within __ days. Or kung kinuha yong credit card mo tapos sasabihin na i-verify lang, na hindi mo naman akalain na i-cha-charge na nila. Kung days pa lang, puede mo ring tawagan yong bank that issued your credit card kung paano mag-file ng cancellation para hindi matuloy ang charging ng payment kasi na-deceive ka. GOOD DAY! ..How can I complain against Caritas Health Shield Inc…gusto ko po kase ipacancel yung insurance ko sknla nung mismong araw na yun kaya pinagawa po nila ako letter para isubmit nila sa main office nila kasabay nung policy contract nila ..ayaw ko nga po sana pumirma ng contract dahil sabi ko ipapacancel ko nga pero sabi nila need ko daw po pirmahan para maisubmit nila sa main office nila kasama yung letter ko then bumalik ako sknila after 1week ang sabi hindi daw naaprove ang cancelation ko kaya no choice daw ako kundi ituloy yung insurance ko..possible po ba na maipacancel ko at marefund ko pa yung one year payment ko? Hi gracia, thanks for sharing your experience here. Really sad that PPLIC is still doing the same deceitful things they have been doing. I hope nabawi mo yong pera mo kasi sinabi mong inasikaso rin kayo. Indeed, ang strategy is to be very firm in getting back your money. hello miss nora, i wish to cancel my policy with the Philippine Prudential I purchased last JULY13, 2016. Marami ako nababasa na negative comments and complaints about the policy, and have wished they have cancelled it during the free look period of 15days. Good day Ms. Nora, I joined sss since 1975. I have a total of 147 contributions. i just recently applied for my retirement claim,and the status as of yesterday is still in “re-evaluation”. my concern is that how will sss evaluate my CYS since there were years when i was abroad and no contributions. will they still count the years from 1975 to 2016 as active “CSY”? I would like to inquire about pension adjustment of my status Leonardo Q. Barquin of legal age 64 years old, Poblacion, Toledo City, Cebu, 6038 with SSS no.06-0532894-1. I am a current member since 1979 to 1994. With this matter, I would like to ask if I am Qualify to have a Pension Adjustment. Hi Rolly, so glad to hear from you again. Thanks for visiting from time to time to write your feedback here. Yes, it’s really sad — I feel that there are still planholders out there, most probably OFWs focused on their jobs, who have not read about the need to file their claim before the deadline, and before the door is closed forever. Looking forward to your updates after your claim filing. Hi Renato, you can file those documents at the office of Atty. Togonon asap. Here’s the list of requirements and the office address: Danvil Plans You should have a SPA or authorization, but you can try going to their office and ask. Hi Rolly, yes, I remember you. I’m glad that you got your benefits for your 2 plans, and that you’ll be getting back all the premiums you paid for your 3rd plan. Yes, definitely this pre-need situation has been a journey. Despite what happened, I can say that the owners of Danvil have been much better in handling their planholders’ money. The other failed pre-need firms were not able to return premiums at all. For the others, like Pacific Plans, they returned only a small portion, and of course many planholders rejected the settlements and will suffer long legal battles. Imagine a Pacific planholder who paid one million outright in 2004 and will only get 61,243, and an OFW who paid 77,300 over 10 years will only get 3,874! So unfair. And to think that Pacific was founded and owned by the owners of RCBC. Thanks for appreciating my blog. Even if your Danvil saga will soon end, I hope you visit from time to time and comment. And if ever you start a blog, I hope you give me a link. Have a great vacation! Hi Ate Nora….remember me Rolly…. Sa mga Danvil planholders dyan, abang abang lang sa last episode nang journey natin…. Hi Lorie, yes, you can claim your remittance at BDO as long as the remittance was done through a BDO remittance partner like Moneygram, Xoom, Wells Fargo, etc. Bring your IDs. Sometimes they ask if you have an account with them; tell them none yet. Hi Ms. Nora! Can I claim remittance from abroad via BDO remittance even if I don’t have a bank account with them? Hi Summer, thank you so much for appreciating my blog. I also have banksphilippines.com, sssphilippinesnotes.blogspot.com and others. Sorry I have not set up a subscription service. But I’ll try to email you if I have a new post. Thanks a lot again. Hi Ms. Nora! ???? I just encountered your personal blog earlier this morning and I can’t stop reading one post to another, even the comments section. I’m currently doing a recent personal task to fix and organize all government-related benefits, insurance, savings and more. And I just want to actually commend you for putting up a blog like yours! ???? All informations are overwhelming but the way how you’ve written it still makes it easy to understand than have someone discuss it to me face to face. More Power to you Ms. Nora and God Bless!! ???????? Question, is there any way for me to be able to subscribe? ???? thank you very much Nora…..god bless u..sana maawa naman ang ideal sa amin …pinaghirapan namin …,cla ang nakinabang…thnx again…. Hi Gina, Ideal filed for bankruptcy in 2010. It’s good you were able to find the office of Ideal or those who are handling its case, and that you were able to get 14,300, although it’s really horrible that the amount is so low compared to what you paid. Sorry I don’t have any updates. As of now, you’re the first to comment here that you’ve got some amount from Ideal. Hi mrs Nora. do you have updates about ideal pension plan? it’s only last yr I came to know that it was already closed. Just got 14,300. I was asking the persons who remained at ideal, they couldn’t say anything. 2017 is my maturity. Paid in full in 2001. 150 thousànd. that’s the only thing I’m depending on. I hope they can return our money. I hope they pity us. Hi cora, yes, you can continue paying the maximum contribution (1760) because you were paying the maximum in 1994. If your last 60 contributions prior to retirement will all be maximum, and if the maximum salary credit before you retire is still 16,000. Then your average monthly salary credit will be 16,000. If your total years of contribution is 10 years, then your pension will be 6,400. Your pension will be 8,300. This is my post on how to compute SSS pension. Hi Ms. Nora, I just turned 56 yrs old and wanting to continue my SSS contributions. I live now abroad. My last contributions with SSS was in October 1994 with maximum contributions. Can I still continue to contribute at maximum? Do you know how much I will get when I retire at 60? Hi cham, sorry I can’t estimate your SSS pension because I don’t have your data to compute your average monthly salary credit (AMSC). But what I can advise is that since you’ve already reached the maximum salary credit, and you’ve long ago qualified for pension, make voluntary payments only when you can pay the maximum. Do not pay if you’ll just pay low contributions. Why? Because a lower monthly payment will just reduce your AMSC. Since SSS puts importance on the last 60 contributions, if you want to add to your SSS contributions, start paying the maximum contribution one or two months before you turn 55. You can mark this date on your Google calendar, attached to your active Gmail. You don’t have to pay every month; pay whenever able to pay the maximum. Read SSS updates also from time to time. There might be policy changes about contributions when approaching retirement age. The SSS pension formula that will likely result to the highest amount for you is: 300 pesos + (20% x AMSC) + [(2% x AMSC) x (27 years or total no. of credited years minus 10)]. Hi Ms. Nora, our company is in transition po from private to government and my concern is my SSS contribution. What will happen to my contributions since 1987 up to present. Currently my contribution is maximum. Should I continue paying my SSS contribution? I estimate I’ve paid for more than 27 years. By January 2016, we’ll be with GSIS. My problem is it will be too heavy for me if I continue paying the maximum to SSS which is Php1760 while also paying a big amount of contribution to GSIS but at the same time I feel I’m wasting my opportunity if I don’t continue paying my SSS and get a small pension. Do you have an idea po how much will be my pension if i will stop paying my SSS contribution. I’m 49 y/o po. Thanks po! Hi Ronette, yes, you can send money from Qatar to your Kabayan. Use your account no. Make sure that your account is still active. Your account is active if you just opened it this month, or the past few months. BDO’s rule is for you to send money from abroad to your Kabayan at least once every 12 months. If you opened your Kabayan in Qatar, you cannot use yet your atm card in Qatar, you need to first change your PIN at a BDO atm in the Philippines. Can I use my kabayan passbook here for remittance? I’m here in qatar. Can my bf and I apply for a bdo joint account even if I’m separated from my husband? Hi Mimi or Sihayleen, I replied to the same question you posted here: http://www.workingpinoy.com/2011/01/sss-membership-tulong-pamilya/ If what you have is only an SSS no. and you do not have any valid contribution, you will not get any benefit from SSS. hi miss nora .. i just gave birth last april 20 thru normal delivery but my baby died 2 days after he was born..anu po ung mga requirements na dapat ko dalin? at hanggang kelan po pwede mag pasa 4 months na po kase since i gave birth. hinhinty kopa po ang COE sa work ko date..
and sa l-501 ko mali spell ng name ko imbis na erika. erica nalagay kailngan ko poba mag request ng bago..
thank in advance .waiting po sa responce ..
Hi Virgie, to qualify for pension, a member must have paid 120 monthly contributions or 10 years of contributions or more. Based on what you said, your mother will not be able to accumulate 120 contributions when she turns 65. If less than 120 contributions, your mother will get back all what she paid plus interests. You should also verify at any SSS branch if your mother has a date of coverage to see if she started paying correctly. Hello Ms. Nora, I was wondering po, my mom just turned 60 this year. She’s member of SSS (voluntary) but only contributed just for a few months then she stopped. Can she contribute to SSS so she can have pension when she turns 65? Hello Ma’m Nora meron po ba kayo alam na supplier ng Bakery machine jan po sa pinas? ung mejo mura lang po.. need to start bakery pandesal business. Thanks po. Hi Danny Boy, sad to know that, but if the plan you filed with OWWA was a transpo business like UV Express or taxi, I’ve read somewhere that they’re not approving these types of businesses because of the high failure rate. Hi Ma’am Nora. Question po sana about MP2 ng PAG-IBIG. I have enrolled into PAG-IBIG MP2 (investment program) last December 2014. I was just able to deposit an initial payment of P3,000 and was no longer able to continue the Monthly contribution due to financial problems. What does this entail? 1. Would my initial contribution (P3000) incur penalties/charges? 2. Can I still withdraw my initial payment should I wish to cancel my MP2 account? What are the requirements for me to withdraw the initial contribution? I appreciate your help in advance. Maraming salamat po. Actually I applied in OFW Reintegration program an OWWA Program special program like me as OFW but nothing happened. I submitted all requirements such as Business Plan but then it was rejected. Thanks for the advised. Currently I am working as OFW here in Saudi Arabia for 8 years now. I am dreaming to have a business like UV express can you help me how or where should I start. How much the Franchise and how long it will take to process in LTFRB. Hi Danny Boy, lenders usually ask for a real estate collateral for bigger loan amounts. If no collateral, you should have a stable source of income, like employment. For UV Express, you can go direct to Nissan, but it will be very hard to pay if you borrow the down payment (around 160k) and you will also need to pay the monthly amortization (around 23k) plus related expenses. Think of another business that you can start with less capital. Hello Mrs Nora Please advise me if you know where I can get a loan payable for a long term to be use in business start up like UV express. hello. I lost my rs1 and my receipt. My date of coverage was not yet encoded. thank you po. Hi Rose, sad to say, you cannot use your Philhealth if the clinic is not Philhealth-accredited and if your OB is not accredited. Both the clinic and your OB should be accredited. Hi Elani, yes, sad to say that a bank home loan SOA is not an automatic bank service here. The same with a bank account SOA — it’s not free. If enough people will write the BSP (consumeraffairs@bsp.gov.ph) about this fee, or make noise on social media, then the BSP might look at this fee. We have a home loan with BDO but want to refinance it with another bank for a lower interest rate. A Statement of Account is required from BDO and I’m suprised that BDO charges a fee for that. I don’t see the logic on why BDO should charge a fee for a SOA. In the States, a borrower automatically gets a monthly Statement of Account even if you don’t request it but here, you have to pay for something that you are supposed to be getting on a monthly basis but don’t. wow, ganda n nang blog mo ate Nora……more power…. Hi Rhoxie, it’s expected that your status now is Voluntary as you’ve already paid as Voluntary, so when you file your MAT2, file as Voluntary. This is okay even if your status in MAT1 was Employee. It’s most likely you’ll be required to submit cert of separation and cert of non-advancement of maternity benefit, as the gap between your separation date and delivery date is less than 6 months, and that your MAT1 status is Employed. Hello po! I’m pregnant. My end of contract was on jan.25 2015. I filed on feb.13 2015 my maternity notification. After filing, I paid as voluntary member. In my mat.notification, my coverage status is covered employee, will that be a problem when I file my mat.2? My delivery date is august, do I need to file certificate of separation? Pls help Thank you! hello po. when can we know the date of posting for adjustment of payment for 1985-1989 for my husband marcelino batuhan? He was employed for 31 years, now he is 80 years old and he’s a pensioner. Hi ann, it would be easier if you’ll be registered by your employer. But I understand that it’s not easy for you to ask this benefit from your employer. Maybe in some good times, you ask politely your employer if she/he can register you as employee with SSS and that you will pay your own contribution. You cannot start as voluntary, as this member type is for formerly employed members. You can start as self-employed but you will need proof of source of income, like business permit or sales commission, not from a job paid by salary. I’m S.S.S house hold employee. I have filed e1. My employer has no sss. Do I have to fill up rs1? I don’t know if I need to be self employed or o voluntary. Hi Nora. I’m just wondering if I can still apply for a salary loan before having my maternity reimbursement. I am expected to gave birth to my second child this June 2015 and of course, I am looking forward to my maternity benefits as well. Please advise. Thank you. Hi maam.. tnong ko lng po GSIS ng tatay ko nung nag file po ako ng disability d po na approved kc may loan dw po tatay ko at lumaki na interest .bnigyan ako form pra i file sa q.c Gsis branch pra my mkuha dw ako 25k pero dpat q din dw po ibyad sa na loan ni tatay. At byran pa dn tirang balance.. then nmtay na po tatay ko if mag file po ako ulit pra sa death claim ni tatay pwede po ba ? KHIt po may loan na d nbyaran ? hi i have e1 but have not contributed. Have worked as saleslady. Now my husband works and SSS member. Can I contributed to sss as a non-working spouse? Hi jose, sorry he should be 60 years old or older before he can be your dependent. Ask others too. If he pays asap this Dec for Oct to Dec 2014, he can use Philhealth in Jan to Mar 2015.
my father is to be confine in a hospital, i am employed in an agency and a Philhealth member. my father is a member too, but wasn’t able to contribute to Philhealth. Can i use my benefits to him? I am single. He is 51 yrs old. Hi francis, have you secured your DTI registration? You need this to get an SSS no. for your business. To register with SSS, submit these accomplished forms: R-1 form, R-1A form, L501 form, sketch of your business address, DTI registration and/or barangay permit. Make 2 copies for each. Your name as business owner is not included in the R-1A. You can get your own SSS no. as self-employed (use RS-1 form) if you’re not yet an SSS member. You need an SSS clearance to be able to apply for a business permit. Bring 165 pesos for the SSS registration plate. Get also these forms for later use: R5, R3, R8. In the meantime, download the R3 generator and the manual so you can learn how to submit your collection list online. You can also bring your own USB to SSS and request for a copy of the updated R3 generator and the new contributions table, if not yet integrated into the R3 generator. Hi s.s.s i have a question. Our employees want us to pay their SSS, but our business is still new. What should we do so we can grant their request? We are a single proprietorship. hi mam….follow up ko lng ung contributions ko sa pgibig kung magkano na?